SATEC eXpertMeterTM PM180 is a high performance analyzer that allows versatile uses. The high performance of the PM180, together with the unique flexible design of the expansion cards and the versatile installation on DIN rail, 4” round or 92x92mm cutout, enables its use in a large variety of applications, in which it can substitute several other devices—saving costs, space and complexity. 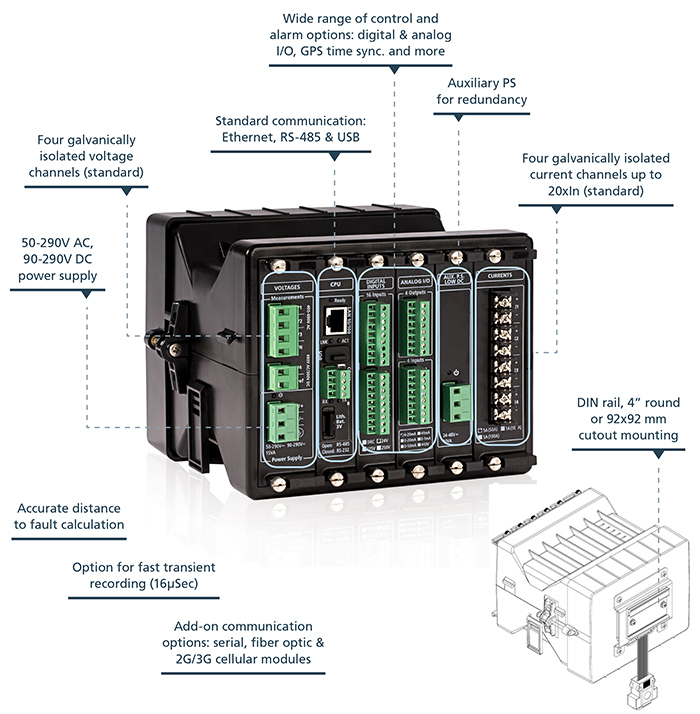 The unique modular design of the PM180 ensures its adaptation to changing needs, through a selection of numerous plug-in options for multiple customer applications. The PM180 can have up to 3 expansions modules. See Models & Accessories below.